The adventure begins on their 15th birthday, when a brother and two sisters—Felix, Jinx and Desdemona—experience terrifying episodes. A nurse hands over a newborn baby to a mysterious woman, as the child’s frantic mother is injected with a sedative. A boy stumbles along a pathway, trapped beneath a giant dome, as ghostly relatives light candles on a floating birthday cake. A bizarre triangular object binds the triplets to each other in a thunderstorm. "The Ascension” (Headline Books) is an action-filled coming-of-age novel about gifted siblings, separated at birth, who discover higher purposes for their lives. But after learning the shocking truth about their hidden heritage, can they survive long enough to save the their world from the evil forces that plague them? 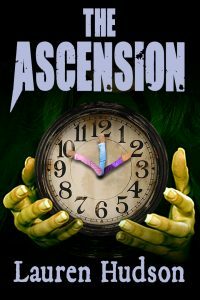 Already charting Amazon's Top 10 in several Hot New Release categories, "The Ascension" is available to launch during its one month kindle launch for 99 cents.